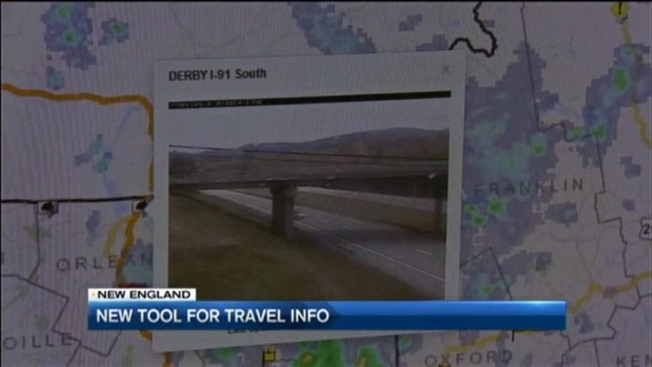 Travelers to northern New England now have a new tool to help them avoid delays getting to their destinations. "This is the one place you can go to see what's out there before you hit the road," Erik Filkorn of the Vermont Agency of Transportation said of NewEngland511.org. Filkorn explained the states of Maine, New Hampshire, and Vermont joined forces to pool information from a host of sources, including construction schedules, roadside weather sensors, and emergency reports to the states. The information provides travelers fingertip access to tips that can help them avoid road work like paving projects, as well as delays from crashes, detours, or other issues. "It was years of testing," Filkorn said of the tool's development. "You can customize what information you get and how you get it." Glimpses at conditions from traffic cameras and access to what's written on electronic highway road signs are also available. So are notices about special events, such as holiday parades. However, not necessarily everything that may cause a slowdown on the roads is in the system. For example, a culvert project on a small town-managed road may not show up, because most of the data is from the larger state-managed roads and highways, VTrans explained. "If it's easy to use, I would use it," said Marla Feldman, a bicyclist who encountered some paving delays on a recent bike trip through Vermont. "I would love to avoid road construction and save time on the road." The launch of the system does come with a reminder: use it when you're safely parked. Vermont bans the use of electronic devices while driving, to cut down on distractions behind the wheel. To encourage hands-free use, NewEngland511 shares its data with the app called Waze, which can safely dictate travel information aloud. That app also provides real-time updates on slow-downs taken from GPS units belonging to the app's users. The goal of the project is simple, Filkorn said: to attempt to minimize traffic headaches by empowering drivers with more information about the routes they travel. Filkorn said other states, and portions of Canada, are now in discussions to join the system. In Vermont, NewEngland511.org will replace the old phone service of dialing 511, which Filkorn said has been in decline with the rise of traffic apps and online travel mapping.